New Jersey students can choose between approximately 45 institutions offering accounting degrees at all levels. The prestigious accounting program at the Rutgers University – Newark and New Brunswick is at the top of the list, ranked as the 25th best Master’s program by the Public Accounting Report’s 2013 survey in the large institution category. Moreover, U.S. News lists the Rutgers Business School as the 60th in the country, with Businessweek awarding it the 61st place. Other highly regarded accounting schools in New Jersey include Seton Hall University and Ramapo College – New Jersey. With one of the highest average accounting salaries in the country, New Jersey provides accounting graduates with bright perspectives for success. In a demanding field requiring advanced qualifications and great responsibility, you have to shine in order to succeed. The accounting school you choose can help you stand out through excellent skills, experience and academic results. This may well be the most important decision of your career, so make sure you set your goals and inform yourself carefully. Firstly, remember that a program with a rigorous curriculum and tough assessment will get you farther than an easy program. Look at the accolades received by the school and its faculty, at student evaluations and CPA exam pass rates to gauge the quality of a degree program. Make sure that you will be taught by qualified instructors with excellent records. Moreover, you should find yourself in a good position to start your career upon graduation: look at graduate employment rates, starting salaries and top recruiters for the program you are considering before you make your decision. Great analytic and financial skills along with a flair for business make accountants indispensable in a dynamic economy. Whether you’re interested in public accounting, auditing or entrepreneurship, an accounting background is bound to get you far in your career. Facing financial complexities and difficult decisions on a daily basis is not easy – so it is no surprise that accounting requires years of university education. You’ll need a four-year relevant degree to work in accounting, but if you wish to become a Certified Public Accountant (CPA) you will have to complete 150 credits of college education, usually completed in five years. There are many advantages to becoming a CPA: with numerous highly compensated job opportunities to choose from, you will be part of an elite group. 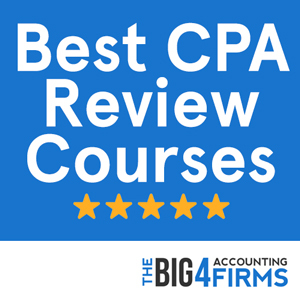 You will have to pass the four-section CPA exam and to acquire one or two years of accounting experience before you can be granted licensure. The strict requirements ensure that a CPA license remains a valuable asset in the field of accounting. The New Jersey state accountancy board allows candidates to sit for the CPA exam prior to completing 150 credits of college education, provided that they have 120 credits including at least 24 credits in accounting. However, in order to be granted a CPA license, you will need to earn a 150-credit graduate degree from an accredited accounting school. Business degrees are also accepted if they include 24 hours in undergraduate accounting or 15 hours in graduate accounting courses. Candidates with a baccalaureate degree may apply for a license if they have completed 30 hours in accounting and 24 hours in business courses. Furthermore, New Jersey candidates need to pass all sections of the CPA examination and to acquire one year of accounting experience before applying for a CPA license. New Jersey is the 3rd highest-paying state in accounting, with a mean annual wage of $83,930, much higher than the U.S. average of approximately $65,000. The number of accountants employed here is also one of the highest, with over 35,000 professionals. Moreover, the New York – New Jersey Metropolitan Division (New York – White Plains – Wayne) is the highest paying metropolitan area in the country, with a whopping annual mean wage of $93,480. The Newark – Union Metropolitan Division and the Camden area also rank among the most lucrative regions for accountants. In such thriving business areas, salaries can soar as high as $150,000 for the most highly paid 10% of accountants. Ranked 128th in the country by U.S. News, Seton Hall University provides a well-regarded alternative for prospective accounting students. The AACBS-accredited Stillman School of Business at Seton Hall University offers a Bachelor of Science in Accounting, as well as a top quality Master of Science in Accounting. Undergraduate students at Stillman School benefit from an innovative curriculum that equips them with technical competence as well as managerial skills and expertise in information systems. At the graduate level, the Master of Science in Accounting allows students to qualify for the CPA exam and boasts one of the highest CPA exam pass rates in New Jersey. Students can also opt for a joint degree program combining the Bachelor’s and Master’s degrees in Professional Accounting. Opportunities for hands-on experience abound at Stillman School, with 80% of students having participated in at least one internship in 2013 and 86% of them having received a job offer from their internship employer. Moreover, the school reported a graduate employment rate of 84% in 2013, with an average starting salary of over $50,000. 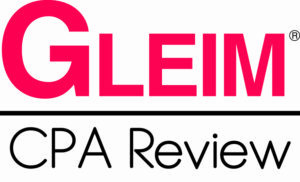 These academic and professional results recommend the Stillman School of Business as an excellent start to a successful New Jersey accounting career. Graduate students can choose between a Master of Business Administration in Accounting, a 14-month Master of Business Administration in Professional Accounting and a Master of Accountancy in Financial Accounting, Government Accounting or Taxation. The school also offers PhD programs in Accounting and Accounting Information Systems. The Master’s degree programs at Rutgers University are innovative and tailored to specific career goals. While the MBA in Professional Accounting creates skilled business leaders, the Master of Accountancy in Financial Accounting prepares students for the CPA examination while allowing them to pursue their career at the same time. Moreover, the unique online Master of Accountancy in Governmental Accounting is rated as the 27th best online graduate business program in the country by U.S. News. With a wide range of study options and great graduate placement opportunities, Rutgers University will equip you with specialized expertise bound to get you the job of your dreams.